A BBC investigation has heard claims of seriously ill patients being told they are fit enough to work and denied benefit payments. Two former doctors for the private healthcare company Atos, which carries out the medical assessments have expressed concerns that the checks are being done too quickly and that the system is biased towards declaring people fit for work. BBC Scotland's Social Affairs Reporter, Fiona Walker, has been investigating why some of those who had high hopes for ESA say it has been a failure. 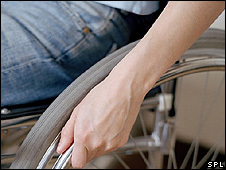 Employment Support Allowance, or ESA, is replacing Incapacity Benefit. It's supposed to support the very sick, and as people get better, help them get back into the workplace. 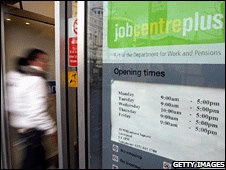 The government said it wanted to get a million people back to work by 2015 but more that one year after introducing ESA, it says it can't measure how many people the scheme has got back into the workplace. During the investigation, we've heard claims that terminally ill patients are being told to attend back-to-work interviews while they apply for the new benefit. We also heard concerns that the medicals are declaring seriously ill people as fit enough to go to work. One of the patients we spoke to was Maureen Leitch. She says she was called in for a medical assessment just a few weeks after undergoing chemotherapy and radiotherapy for vulval cancer. She was declared fit for work and told she wasn't entitled to ESA. I feel insulted and badly let down, with the system." Maureen appealed the decision and it was overturned, meaning she was eventually awarded the benefit. Currently, there are 44, 000 people waiting for their appeals to be heard. More than a third of people are winning their appeals. Charities and organisations including Citizens' Advice Bureau, say they're worried that thousands of pounds of taxpayers' money is being wasted because of the number of people going to appeal. Everyone we've interviewed for this investigation agrees that getting people back to work can be good for them. What they're concerned about is the way the system is working in practice. Dr Chris Johnstone is a GP in Paisley. His work to help his patients back to work helped shape the ESA policy. He said: "I have no problem with a rigorous medical assessment done in a supportive fashion. "But I think if you have a slipshod one done, as it appears to be anecdotally, that's unfair for the people going through the system. It feels like some of it is done inappropriately and it's almost being done to save money rather than to look after people." Ultimately the decision on whether you get benefit or not is down to the Department of Work and Pensions (DWP), but they have contracted a private healthcare company called Atos to carry out the initial medical assessments. I've spoken to two doctors who used to work for Atos. They say they are concerned about the way checks are being done. They both say they are worried that speaking out will affect their medical careers so we've agreed not to reveal their names. This is what one of the doctors told me: "We would frequently have appraisals. They were all about how many clients you had seen and the average length of time it took to complete each assessment and write the reports. "I wanted to know if they were happy with the quality of the reports I'd done but they hadn't even looked at my reports, only at the time it had taken. It's really tough to qualify for ESA. "When doctors go in for the day's assessments, they pretty much know the clients are going to be turned down." The other doctor I spoke to backed up those claims. We asked to do an interview with Atos, but they refused. Instead they gave us a statement saying: "We are continually monitored and audited by the government to ensure that it completes the highest standard of assessment and that medical advice is correct. "Atos Healthcare and its employees are not advised of the result of the assessment and the outcome has no bearing on Atos Healthcare targets or remuneration." Helping people back to work is one of the key aims of ESA. But the government can't tell us how many people this new scheme has got back into work. The minister for Disabled People at Westminster is Jonathan Shaw, MP. I asked him why his department couldn't tell us how many people ESA had successfully got back to work. He said: "What's essential is that we are providing a programme, across the board, not just for ESA claimants but for youngsters, for disabled people for elderly people, to try and gain the skills that they can to stay in the labour market and return to work. this is early days, for the Employment Support Allowance." Mr Shaw also said he would be looking into the way cancer patients are treated.